Our Party… Thank you everyone for a very special event! At least once a year, I host a special party to thank all of my wonderful clients and associates. 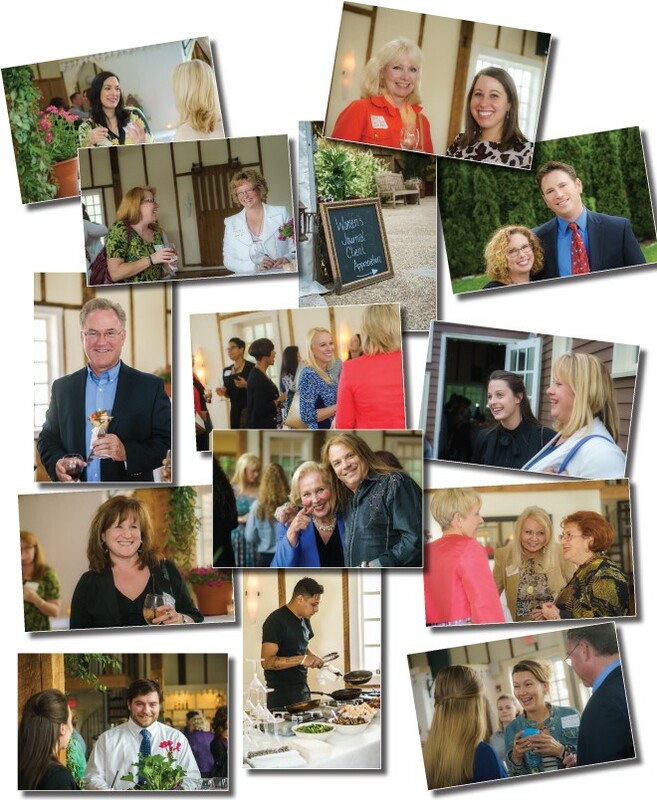 This year, we were able to put together a small party at The Gables at Chadds Ford, which is a beautiful venue, with amazing food. As always, it was a fun, networking evening for everyone who attended. But this year we decided to also do it as a fundraiser for Fresh Start Scholarship Foundation. Why Fresh Start? Because personally, as a successful woman business owner, who never got to finish college, but always wanted to, imagine what I could have done with a degree! This foundation is the answer to many women’s dreams to be able to succeed and support their families. These photos are just a few candids that our wonderful photographer Shannon Adelson, of Adelson Media, Inc., was able to provide us with. If you are having an event give Shannon a call at 484-748-0166, and make sure you read his article on page 50. Shannon is also a client of the magazine, and he was having fun, and working the room like the pro. Also, a huge Thank You to Donna Duffy and “Little Sarah Armstrong”, because without Sarah’s help I could never have made it through this. I love this child. Hope you enjoy! We certainly did! Here is a little about the Fresh Start, I hope you will consider giving to this foundation in the future and help change someone’s life! Fresh Start provides scholarships for Delaware women in need, who are returning to college. Each scholar is unique in terms of her goals, skills, and dreams, but what they have in common are limited resources, personal and financial challenges and the determination to provide a better life for themselves and their children through a better education. Fresh Start provides each scholar with a mentor to support and encourage her while in school and help her network in the business community when she begins her job search. Fresh Start celebrates its 20th anniversary of “Improving the lives of women through education”. Thanks to the continued generous support of individuals and businesses like you, we have awarded over $750,000 in scholarships to 174 women, and as an all-volunteer organization, we proudly direct 97 cents of every dollar to our scholarship program. Go to http://www.freshstartscholarship.org for more information, to donate or volunteer.